A rapidly developing alternative to spinal fusion surgery, artificial disc replacement is a procedure that involves replacing a painful disc that is causing chronic back pain with an artificial disc that provides pain relief without compromising the spine’s natural anatomical structure. Artificial disc replacement surgery may be performed on the lower back (lumbar spine) or the neck (cervical spine). Artificial discs are structurally similar to the damaged discs that are replaced and share similar functions, including acting as shock absorbers in the back or neck. Artificial disc replacement surgery technology, or non-fusion spine surgery, for the lumbar and cervical spine is a specialty of Barcelona Back Institute. When you are considering artificial disc replacement surgery over spinal fusion, it is important to understand that experience performing artificial disc replacement surgery is critical. Dr. Bartolomé Oliver and Dr. Emilio Ayats at Barcelona Back Institute are among the most experienced spine surgeons in Europe, having performed numerous artificial disc replacement surgeries and pioneered a variety of procedures. The principle behind using artificial disc replacement surgery for treating spine pain and conditions is to enable a surgeon to treat a patient’s condition with the cervical or lumbar spine that usually arises as a result of aging or degenerating discs without using fusion, which alters a spine’s normal movement. Excellent treatment and services. Thank you. The development of the lateral approach allows today the possibility of offering TDR when the disc to be replaced is above L5-S1. The risks of the anterior approach are eliminated and neurophysiologic monitoring of the nerves decreases the risk of traction injuries of the lumbar plexus in its transpsoas trajectory. The XL procedure is what is termed a “minimally invasive” procedure. This means that instead of a traditional, larger single incision, the procedure is performed through one or more small incisions and an instrument known as a retractor is used to spread the tissues so that the surgeon can see the spine. This is made possible by the use of a dilator and retractor system, MaXcess®, developed by NuVasive®, Inc, in San Diego, CA. The system allows the surgeon to reach the spine via lateral access (from the side of the body). Older lumbar total disc replacement (TDR) devices require an anterior approach for implantation. This approach has inherent limitations, including risks to abdominal structures and the need for resection of the anterior longitudinal ligament (ALL). Placement of a TDR device from a true lateral (extreme lateral [XL]) approach is thought to offer a less invasive option to access the disc space (reduced risk of interrupting blood circulation in the left leg, significantly reduced risk of arterial thromboembolism, reduced risk of plaque embolism with arteriosclerosis), preserving the stabilizing ligaments and avoiding scarring of anterior vasculature. When L5-S1 has to be included in the surgical treatment, anterior TDR at this level or hybrid procedures (transforaminal lumbar interbody fusion [TLIF] or ALIF with cages and pedicles screws, versus Posterior Dynamic Stabilization with Dynesys at L5-S1 and XL-TDR at L4-5 or/and L3-4) could be performed. A revision rate of 5.6% has been reported. Postoperative transient psoas weakness and anterior thigh numbness have been reported, both resolving within 2 weeks. 2.8% of cases demonstrated weakness of the leg ipsilateral to the approach side, which lasted through the 3-month visit but was resolved by the 6-month visit. The benefits of this technique include minimal morbidity, avoiding mobilization of the great vessels, preserving the ALL, biomechanically stable orientation, and broader revision options than in anterior approach. Minimally invasive spine surgery technology allows surgeons to reach the spine through several smaller incisions (as opposed to a single large incision). The majority of surgeons believe minimally invasive surgery is advantageous because it may allow for less tissue trauma, less scarring, shorter hospital stays and less postoperative discomfort, thereby affording a decreased need for post-operative pain medication. The surgeon will make a second incision directly on the side of the patient, or only this second incision. 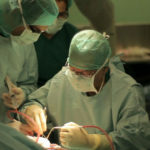 Most patients are able to return to their normal activities within a few weeks or months of surgery, depending of the patient’s type of work.